The Lyndon Pumping Station is one of three major pumping stations in the SLSA system. The station is located along New Danville Pike (Route 324) in Lancaster Township. 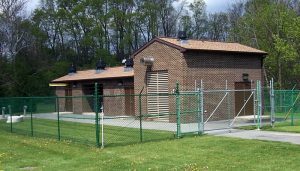 This 12.96 MGD (9,000 gpm) capacity station was constructed in 2003, replacing a station on an adjacent site that was constructed in 1970 as part of the original SLSA system. The Goods Run Pumping Station is one of three major pumping stations in the SLSA system. The station is located along Penn Grant Road in Pequea Township. 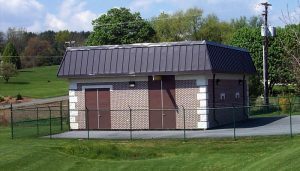 This 3.69 MGD (2,560 gpm) capacity station was constructed in 1998, replacing a small submersible station on an adjacent site that had exceeded its design capacity. The Mill Creek Pumping Station is one of three major pumping stations in the SLSA system. The station is located along Gypsy Hill Road in West Lampeter Township. This pumping station was constructed in 1970 as part of the original SLSA system. An upgrade to the station was completed in 1999 that resulted in doubling the capacity to 5.76 MGD (4,000 gpm). The Silver Lane Pumping Station is one of ten minor pumping stations in the SLSA system. The station is located along Silver Lane in West Lampeter Township. This 0.526 MGD (365 gpm) capacity station was constructed in 1987 as part of the Hayward Heath development. It was upgraded in 2006 after exceeding its original design capacity. 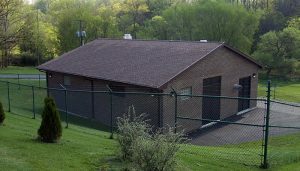 The Conard Road Pumping Station is one of ten minor pumping stations in the SLSA system. The station is located along Little Hill in the Mill Creek Community in West Lampeter Township. This 0.648 MGD (450 gpm) capacity station was constructed in 1994. The Millstream Village Pumping Station is one of ten minor pumping stations in the SLSA system. The station is located along Woodcrest Drive in the Millstream Village development in West Lampeter Township. This 0.288 MGD (200 gpm) capacity station was constructed in 1993. The Roslyn Pumping Station is one of ten minor pumping stations in the SLSA system. The station is located along Roslyn Avenue in West Lampeter Township. This 0.144 MGD (100 gpm) capacity station was constructed in 1970 as part of the original SLSA system. The Marticville Pumping Station is one of ten minor pumping stations in the SLSA system. The station is located along W. Penn Grant Road in Pequea Township. This 0.144 MGD (100 gpm) capacity station was constructed in 1978, and upgraded and expanded in 2016. The Hans Herr Pumping Station is one of ten minor pumping stations in the SLSA system. 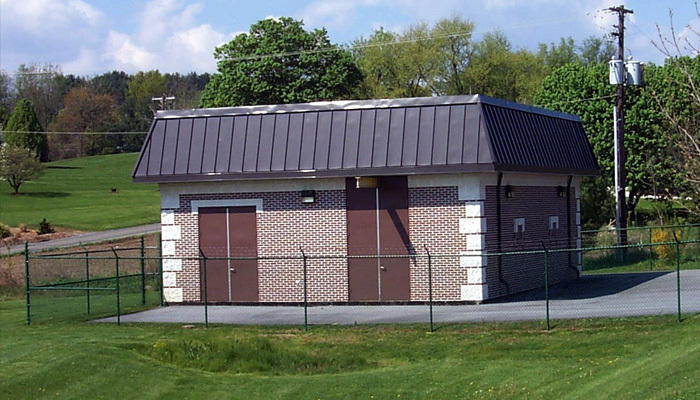 The station is located along Flintlock Drive in West Lampeter Township. This 0.144 MGD (100 gpm) capacity station was constructed in 1972 as part of the original SLSA system, and upgraded in 2006 and 2017. The Jefferson Square Pumping Station is one of ten minor pumping stations in the SLSA system. The station is located along Lampeter Road in West Lampeter Township. This 0.144 MGD (100 gpm) capacity station was constructed in 1984 as part of the Jefferson Square development. The Sterling Place Pumping Station is one of ten minor pumping stations in the SLSA system. The station is located along Waterford Court in the Sterling Place/Waterford at Sterling Place development in Lancaster Township . This 0.324 MGD (225 gpm) capacity station was constructed in 1997. The Willow Bend Pumping Station is one of ten minor pumping stations in the SLSA system. The station is located along Wendover Way in the Willow Bend Farms development in West Lampeter Township. This 0.180 MGD (125 gpm) capacity station was constructed in 2005. The Summer Breeze Pumping Station is one of ten minor pumping stations in the SLSA system. The station is located along Conard Road in the Summer Breeze development in West Lampeter Township . This 0.230 MGD (160 gpm) capacity station was constructed in 2006.